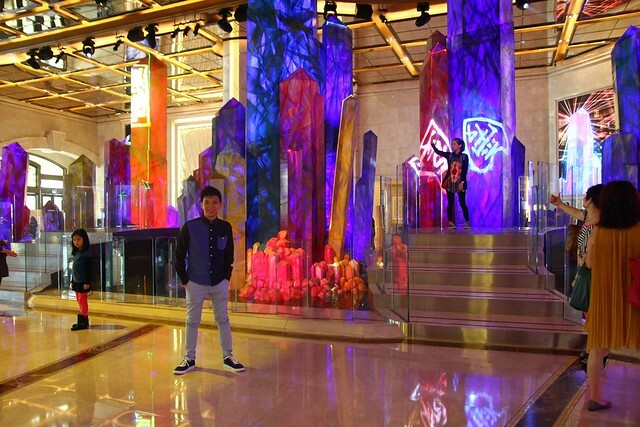 Macau: Inside Macau Galaxy Resort Hotel – My Taipei trip didn’t end there as my trip continued on to Macau. 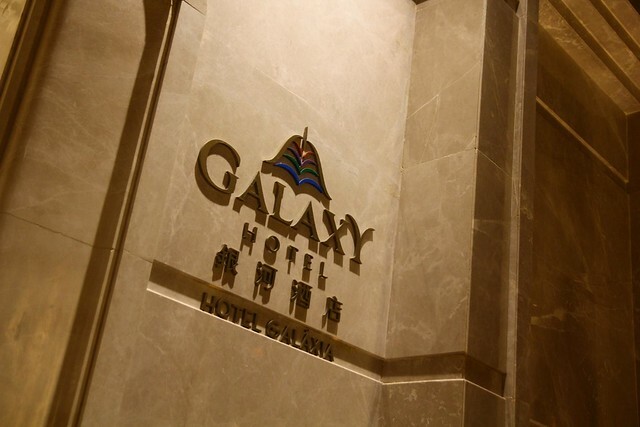 The Macau Galaxy Resort Hotel was the place I stayed for 2 nights. 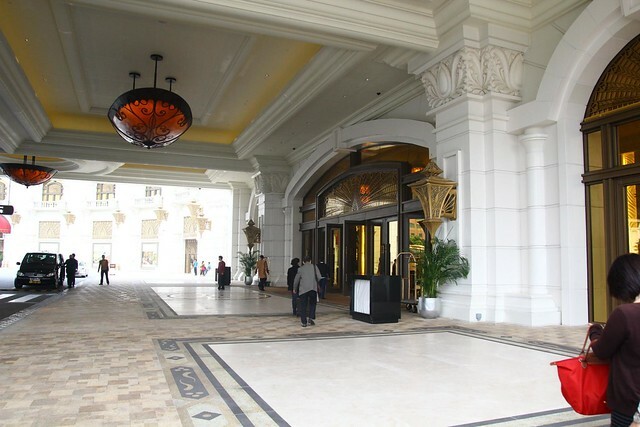 Well, it does looks very grand and luxurious with all the glittering and shinny decoration as well as the very friendly service from their beautiful staffs. 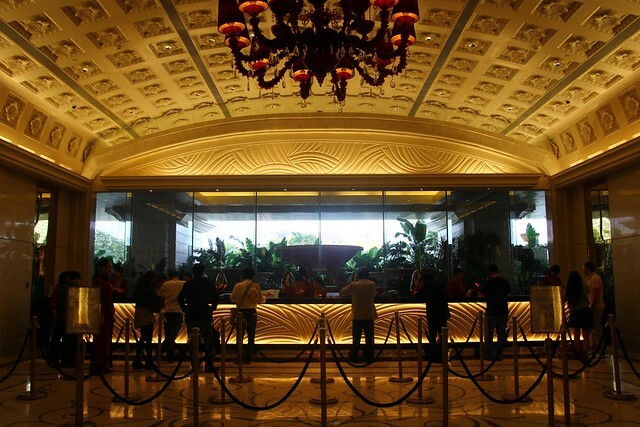 Service was really good, and too the atmosphere and the scent that smells good in the hotel. 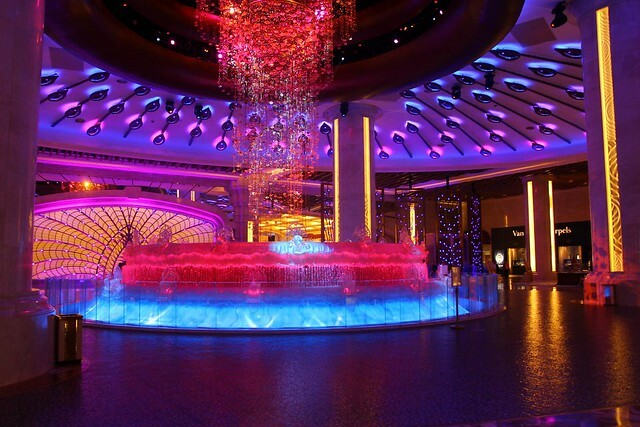 Casino is bright and fresh, and there’s a variety of food and retail outlets to kill your boredom. Talking about food right, after arriving at Macau, the taste buds got turn on again, as I myself still prefer Macau-Hong Kong food rather than Taiwanese food! 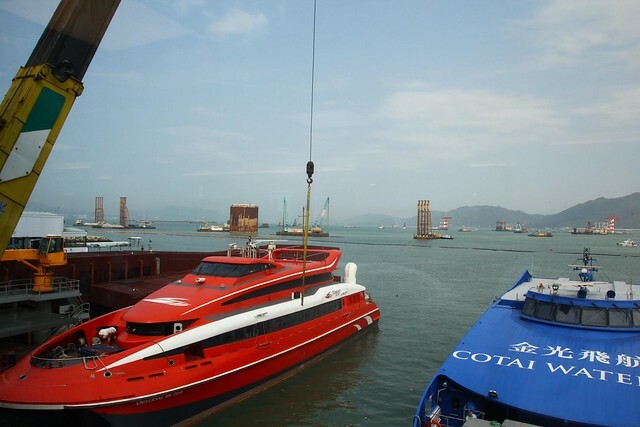 Took the red one (TurboJet) from Hong Kong International Airport to Macau. 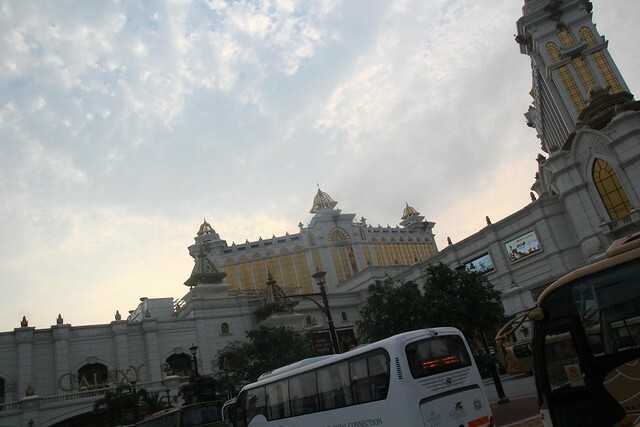 During my visit to Macau back in 2008, I took the Cotai Water Jet before. 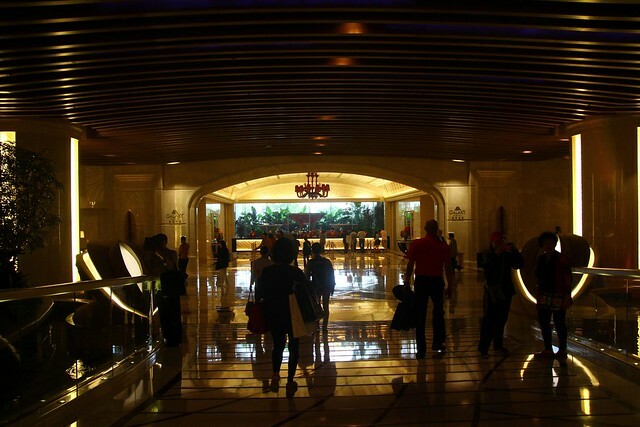 Dropping of at the lobby. 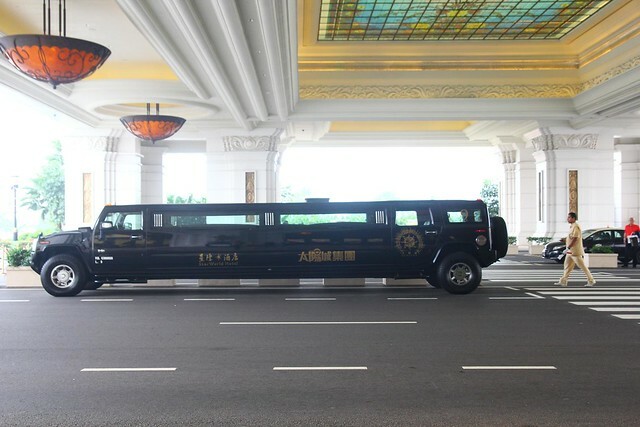 Something interesting I found about in Macau’s hotel is that whenever you alight or board a taxi, the concierge will pass you a ticket, which states the time you get in or off the taxi and the taxi number. I believe this is very useful whenever you have drop anything in the cab, so you can contact the cab company easily. Giant Dimaond In Dancing Fountain. 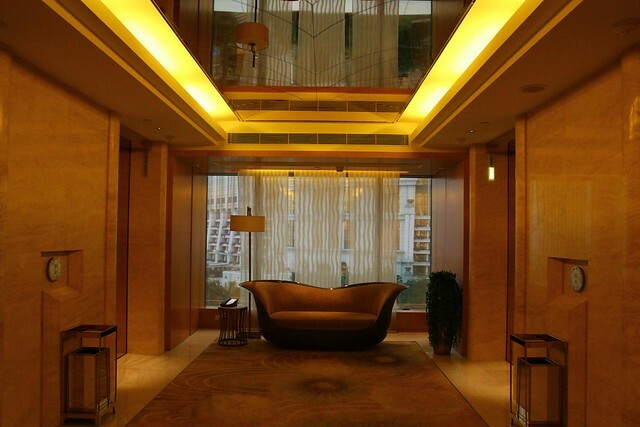 Besides being a welcoming piece, I know it’s definitely set up based on feng shui. 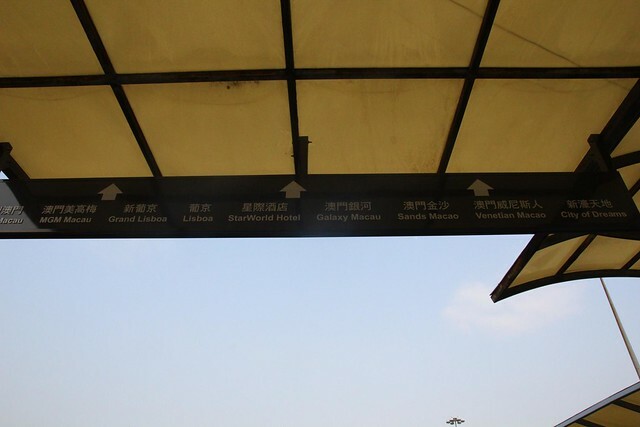 Come on, this is China. 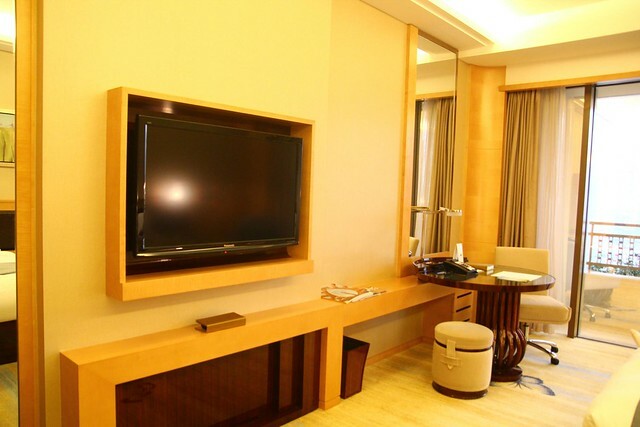 A standard hotel room of Galaxy Macau. Looks very standard, and nothing special. 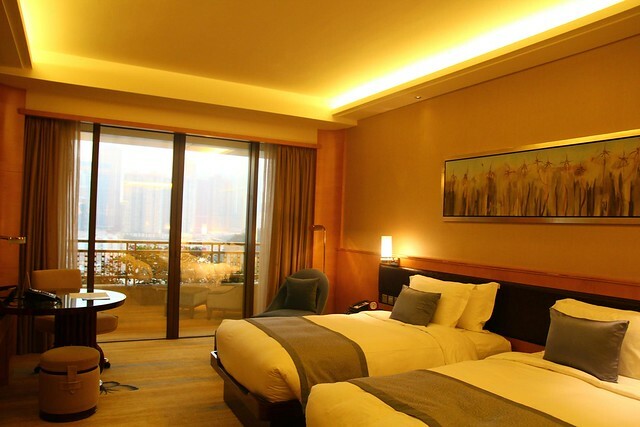 Another view of the hotel room. 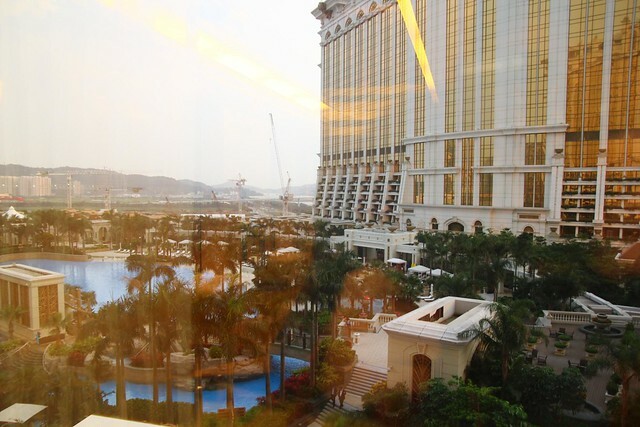 Overlooking Banyan Tree Macau, swimming pool and man-made beach. Although there’s a man-made beach, don’t expect that much, it’s really very small! 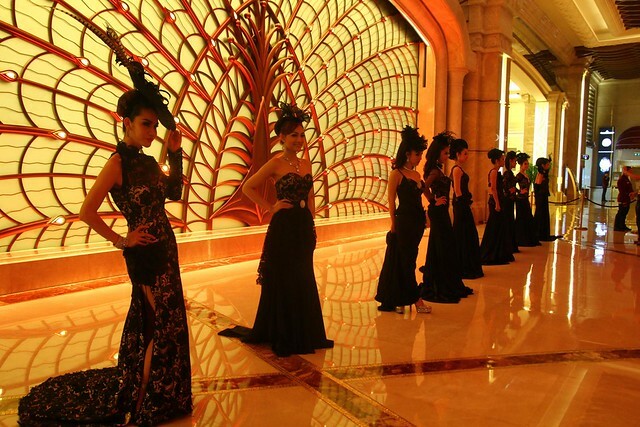 A group of model posing at the lobby. No idea what for, just posing and they looks like Thai’s ladyboy. HAHAHA. 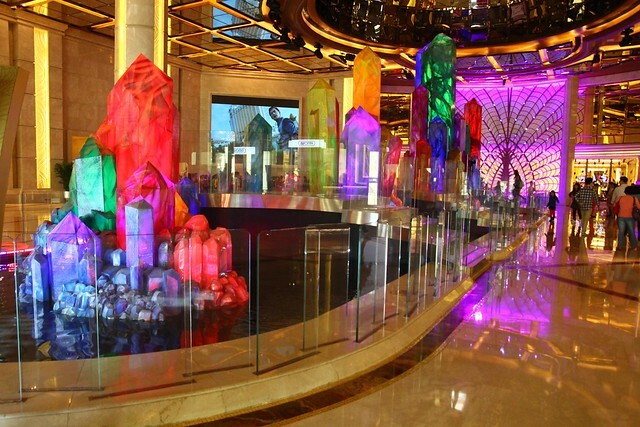 Wishing crystals at the Crystals Hall. I know, I know, it’s feng shui again! Say hi, to Nick Chan.